The Pathfinder Adventure Card Game Hell's Vengeance Character Deck 1 features three new evil characters from the popular Adventure Path: the Hellknight Linxia; the dwarf antipaladin Urgraz; and Lazzero, cleric of Asmodeus! This 109-card accessory for the Pathfinder Adventure Card Game lets you plunge your adventure into darkness. These characters can be played in any Pathfinder Adventure Card Game Base Set or in the Pathfinder Society Adventure Card Guild organized play campaign! Announced for October! Image and description are not final and subject to change. 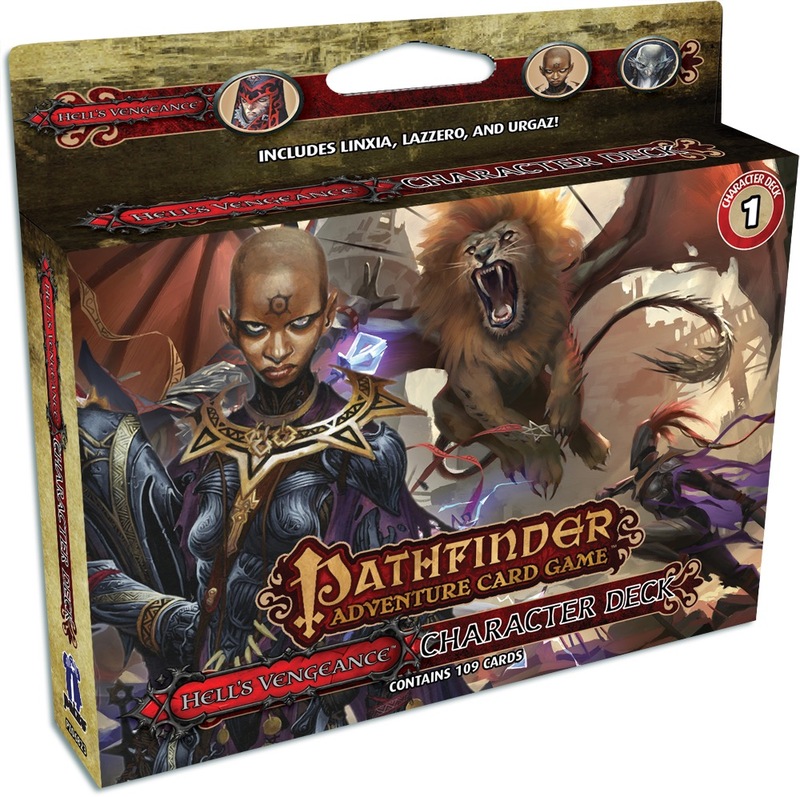 Have never played the Pathfinder card game as of yet, with that said if you have this deck of evil characters can the Good and the evil battle each other within the game itself. No. There is no PvP in the card game. Many of the powers on these characters' powers tend to come at the expenses of their fellow characters. You can check out this blog post to see some examples. are there printable character sheets for these anywhere?